This entry was posted on April 4, 2019 by Amberley Publishing. Growing up in South Wales, I first began to visit Bristol in the very early 60’s because family relations lived there. Later, as a teenager, I travelled ‘over the channel’ to open days at Bristol Bath Road diesel depot or simply to ‘trainspot’ at the end of the platforms of Bristol Temple Meads. Even then, with my very limited knowledge of railway architecture, Temple Meads did indeed strike me as a temple – far more impressive than Neath General, my local main line station! However, I never spotted any meads. I moved to Sussex and then London in the early 1970’s, but in 1976 my career resulted in a move to Bristol and I have lived in or around the city ever since. Fortunately near stations on the main line, namely Nailsea and Backwell, Stapleton Road and now Keynsham. Although a busy career and raising a family resulted in quite long periods where the chances to photograph trains were limited, nevertheless I took the opportunity to get out and follow my hobby when I could. Although not presenting the huge choice of traction that London had, nonetheless Bristol offered a good variety of diesel locomotives and multiple units with, of course, the spectacular architecture of Temple Meads as a backdrop. My book is perhaps tilted towards photographs taken there, but in pursuing my hobby I had no thought that my pictures would ever appear in a book and often that was the most convenient place to visit. My earliest photographs in this book were taken with a Halina 35X Super (though it wasn’t very ‘super’) but eventually I graduated to various SLR’s and DLSR’s. What I have found most astonishing, however, is that a relatively inexpensive mobile phone can now take photographs of surprising quality and enables snatched photographs at times I do not have my DLSR with me. So there are even one or two photographs in this book taken with my phone – something that would have been unimaginable to me just a few years ago. I moved to Bristol just too late for the diesel-hydraulic era but variety of ‘classic’ diesel-electrics there was aplenty – Class 20, 25, 33, 37, 45, 46, 47, 50 and 56 locomotives and various classes DMU’s. But the era of the HST soon dawned and displaced the Type 4’s on passenger duties whilst second generation DMU’s. Displaced not just the older DMU’s but the loco-hauled cross-country and local passenger services. 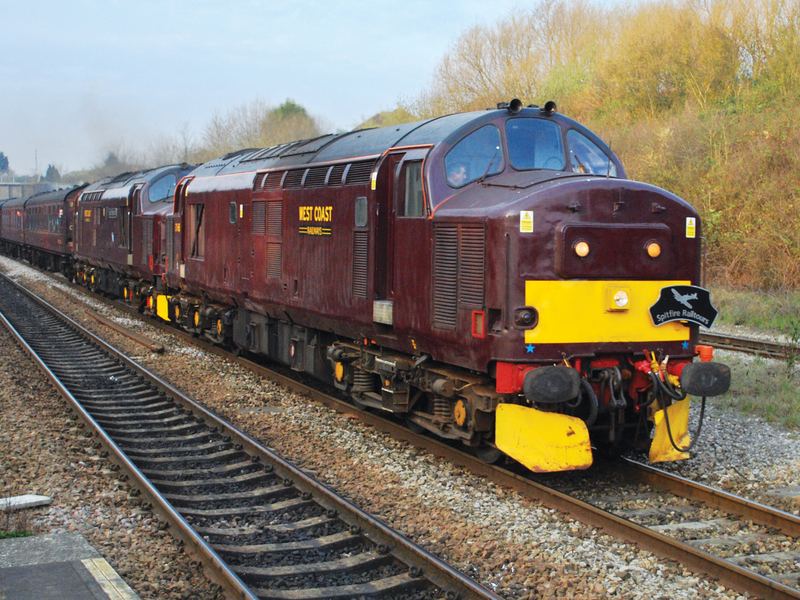 Freights, on the other hand, fell to the last British-built diesel locomotives – the Class 60’s – and imported Class 59’s, 66’s and 70’s from North America and Class 68’s from Spain. 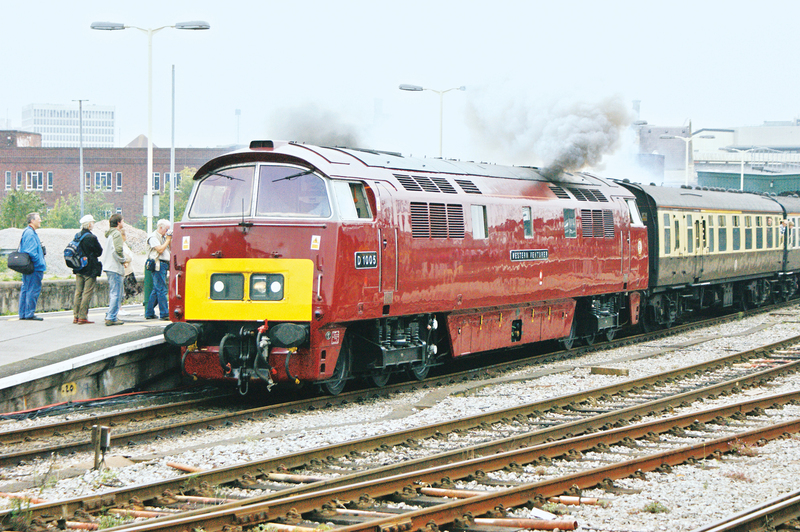 Nonetheless, ‘classic’ diesel locomotives can still be seen on excursions and specials, most notably Class 47’s and the re-engined Class 57 version. Now even the era of the HST is rapidly drawing to a close as the Hitachi Class 800’s are being introduced on more and more services. 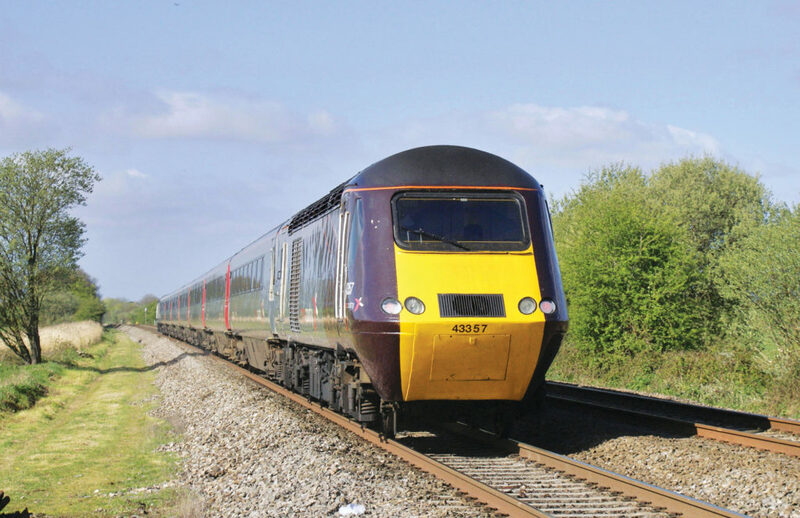 Although I mourned the loss of loco-hauled expresses to HST’s, now I am mourning the loss of the iconic HST’s to the sleek but rather bland Hitachi’s. 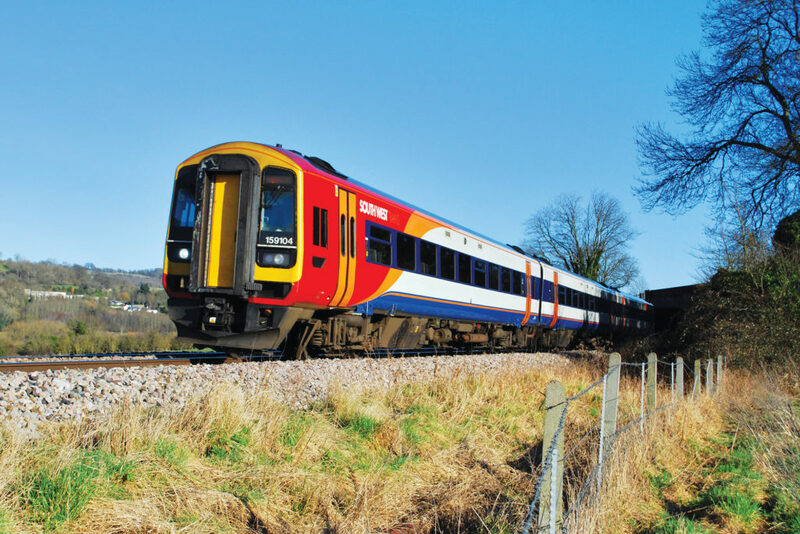 My book illustrates this changing traction in Bristol and the former county of Avon over the decades and, unfortunately, the loss in variety that has resulted. Luckily, the Avon Valley Railway adds interest to the local scene and a few photographs of diesels on this heritage railway are included. 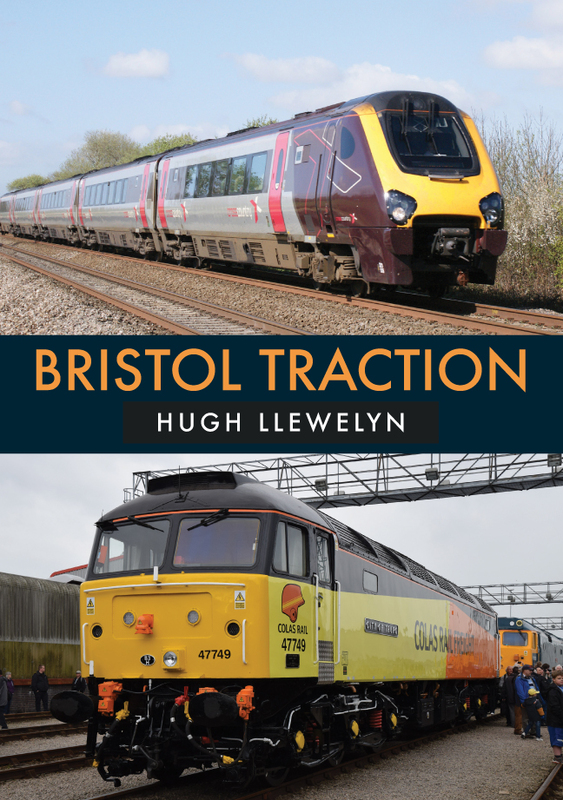 Hugh Llewelyn's new book Bristol Traction is available for purchase now.